Lie back and work on your tan with relaxing beach amenities like umbrellas and sun loungers. After a day at the beach, enjoy amenities at Hotel Mediterranean like an outdoor pool and a seasonal outdoor pool.All 241 rooms offer free WiFi and free wired Internet, plus washers/dryers and LED TVs with satellite channels. Simply walk outside to feel the sun on your face at the sand beach. Spend the day at the beach and work on your tan with sun loungers (chaise longues) or relax in the shade with umbrellas. After a day at the beach, enjoy amenities at Sun Beach Resort Complex like a children's club, an outdoor pool, and a seasonal outdoor pool. 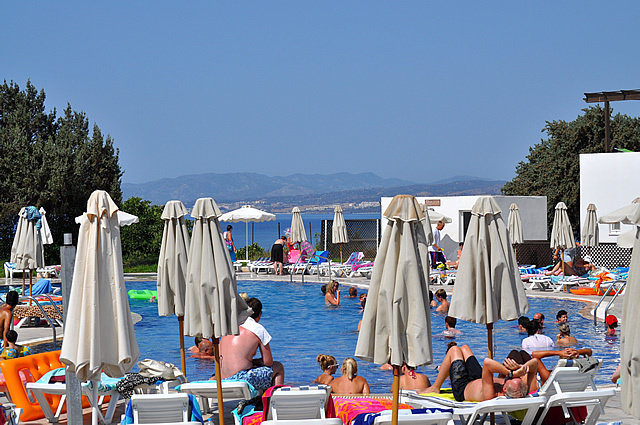 Situated just 50 metres from Pefkos main beach, the Matina hotel is the perfect location for a relaxing yet unforgettable holiday. The peaceful location and the friendly, fun atmosphere appeal to all types of guests, from families to couples and everything in between. Tastefully designed for comfort, 65% of our guest rooms are sea view with amazingly large verandas, ideal spots to take advantage of the amazing first rays of the sunlight or indulge in the enticing sunsets dipping in the Aegean Sea. Relax in our attractive and spacious gardens, or simply 'chill out' by the swimming pool. 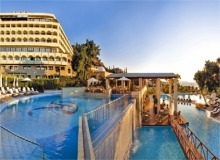 Sheraton Rhodes Resort Hotel is the perfect place to enjoy a wide variety of activities. The most famous sights and attractions in Rhodes are within a few minutesâ€™ drive. 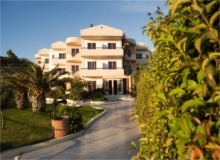 Located by beautiful landscaped gardens it is only a few metres from a pristine private beach. 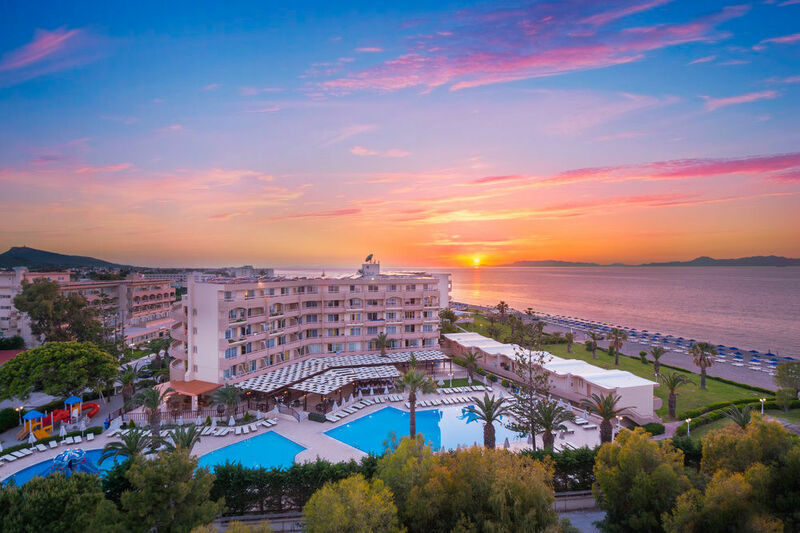 Set on the beautiful beach of Ixia, the charming Amathus Beach hotel is a peaceful sanctuary offering spectacular views of the seafront. 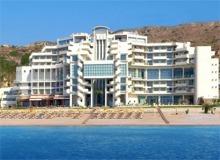 This waterfront 5 star beach hotel in Rhodes Island offers a wide spectrum of entertainment and facilities. 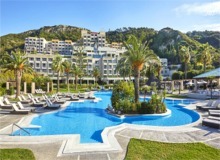 This 5 star beach hotel in Rhodes is located in a picturesque natural setting within close distance from the city centre. Just a few meters away from the hotel is a spectacular landscape filled with pine trees leading all the way down to the famous monument of Kalithea Springs. 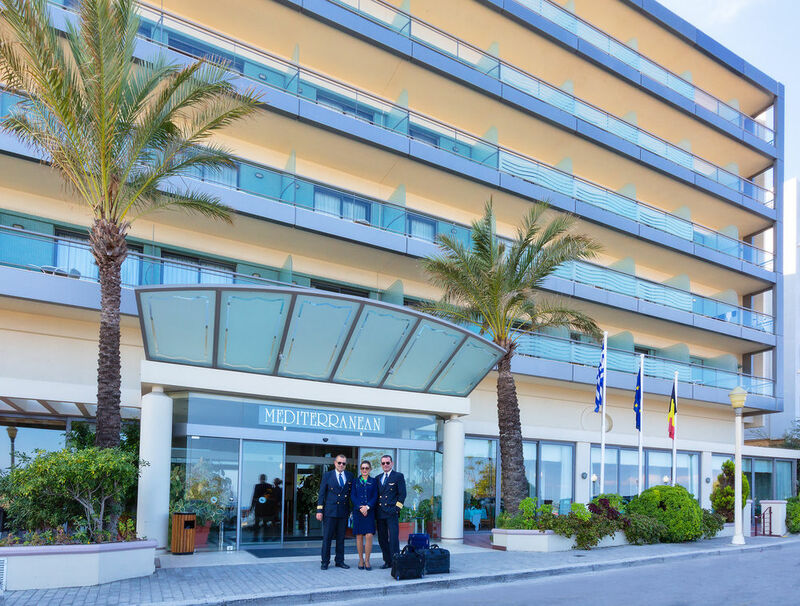 Located on the peaceful outskirts of Faliraki and Kalithies, Venezia Resort Hotel is surrounded by pleasant natural gardens and offer guests beautiful views of the Aegean Sea. Faliraki is the biggest resort of Rhodes Island which contains a wide variety of bars, restaurants and nightclubs in the centre for guests to enjoy.